With define and difficult craftsmanship and superior quality material of pure New Zealand wool and cotton, this carpet will surely make your living space more comfortable and cozier. Rugs and beyond is the best online shop and very famous for selling pure and oriental handmade woolen carpet online. It has taken around 6-7 months to weave. It is a pure Persian rug. It contains a medallion Kashan design pattern which has been originated from Persia in 16th century. 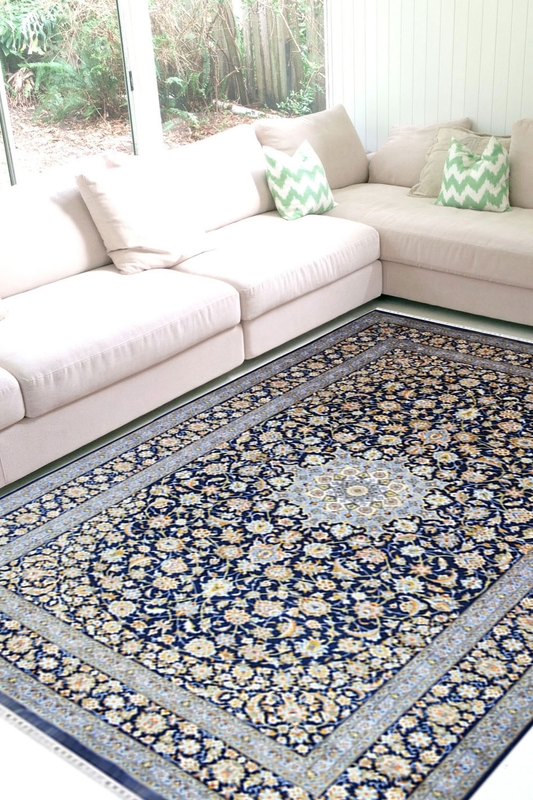 The ground of this carpet is in blue color and medallion is in ivory color.